A wireless device that allows your iPhone or iPad to control the eight outlets (ON/OFF) on the AIRSTREAM WIFI PACK. 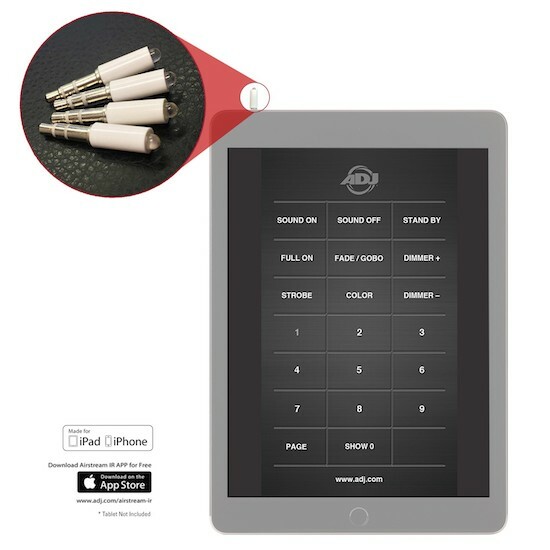 The ADJ AIRSTREAM WIFI PACK is a wireless device that allows your iPhone or iPad to control the eight outlets (ON/OFF) on the AIRSTREAM WIFI PACK. The AIRSTREAM WIFI PACK creates a private standalone WiFi network, no existing network infrastructure required. 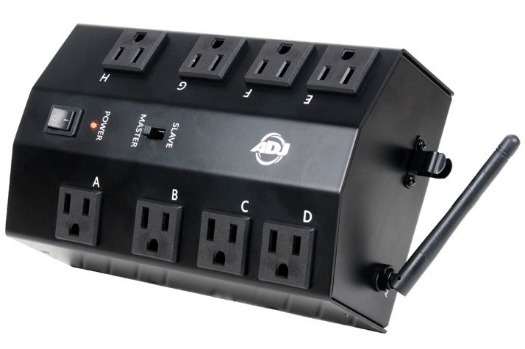 After connecting the AIRSTREAM WIFI PACK device to the AIRSTREAM WIFI iOS app wireless network, users can wirelessly switch the eight outlets ON and OFF manually or automatically. 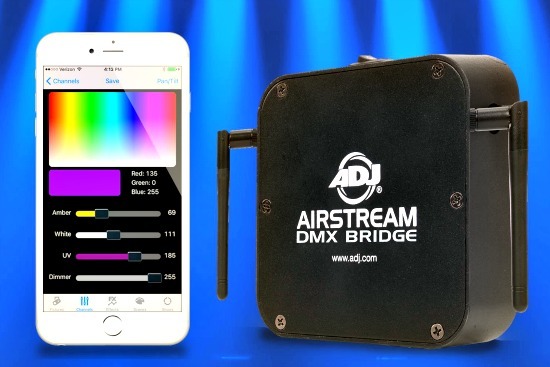 The AIRSTREAM WIFI PACK is the ideal solution for mobile entertainers, nightclubs, bars, production events or for any event where you do not want data or power cables to be seen. The AIRSTREAM WIFI PACK includes a WiFi antenna, 8 Edison output sockets, power indicator LED, master/slave switch and an on/off switch. The AIRSTREAM WIFI iOS App is free to download from the App Store.